1. Ms Lazaridis your parents were Greeks who moved to the States in their thirties. How was it for you growing up as a Greek American girl in the States, revisiting Greece every summer? Though I was born in Boston, I grew up in a thoroughly Greek home. My parents spoke only Greek to me, and most of my parents’ friends were Greeks, many of whom worked at the same technology company my father had left Athens to join, and others who were affiliated with some of the Boston-area universities. Christmas and Easter were celebrated with this large group of ex-pat Greeks. [My mother’s mother was Swiss, so she had grown up in a bilingual household in Patras and for a while tried to teach me not only Greek and English but her native French. That proved too cumbersome, though.] Each summer, my mother and I returned to Greece for three months and my father joined us for August. My parents dressed me in European style (with closed-toe leather sandals and a leather briefcase for elementary school), and insisted that we were and I was Greek, not American. I believed them, and I distinctly remember feeling a bit strange when watching the Olympics and hearing the Star-Spangled Banner; when the Greek anthem played: that’s when I felt patriotic. My parents never really thought of themselves as immigrants but more as ex-pats (though they didn’t use that term), and so it was almost as though being in Greece was the natural state of things, and being in America was out of the ordinary. I ended up feeling distinctly different from my peers in the Boston suburbs but also aware, while in Greece, that I was different from my cousins and the few other kids I played with there. Because I had no accent in either Greek or English, no one could ever tell that I didn’t belong, but there were always moments when my otherness would be revealed. I didn’t know baseball. I didn’t know cornbread. I wasn’t returning to school in Athens with everybody else. I didn’t know some of the songs. There was at once a distinct sense of being from somewhere else and a feeling of always belonging. I never felt strange arriving in Athens, for instance. It felt—and still does—always like coming home. 2. Describing your state of mind when writing you admit: “I write with the zeal of the converted, the zeal of the immigrant trying to pass”. Have you vented this feeling of the immigrant in other writing genres? No matter what I’m writing, my writing style and my attention to language come from this position of being the immigrant trying to pass. I’m very aware of how English is and should be put together because it is very important to me to get it right. The same goes for me in Greek. These are both languages of incredible power—Greek because of what I describe as its Lego-like quality of components you can play with and rearrange, and English because of its borrowings from so many other languages in an accretive way that creates tremendous agility. They are such amazing tools that they demand to be wielded with precision and beauty. 3. Reading some of your work I found a series of questions you pose fascinating. Please allow me this extensive quote: “Can an identity that expresses itself in two separate ways-through two separate languages and in two cultures-be said to be authentic? If your identity flickers between Greek and American, what exactly is your identity, and how do you designate it? Is it hyphenated, to indicate balance and parity? Or is it combined in some other way, represented by some other form of punctuation, is like a slash?” While I find this series of questions telling, I am tempted to ask for your thoughts now on ethnic identity. I am forever in a quandary about my own ethnic identity, and I wonder constantly about authenticity and what claims an individual can make to authentic ethnic identity. Is this a definition others are empowered to make for us? Is this something we decide on our own, with the possibility that our decision is based on no more than whim? I am fascinated by those who misappropriate or appropriate a culture for their own—and I’m not even speaking of the harmful or offensive ways in which this can happen. I’m fascinated by people who assume a level of belonging in a foreign culture that exceeds reality, people who fool themselves into believing they are insiders. My guess is that I am so interested in this in-authenticity because of a childhood spent wondering how and if and where I fit in. I think there’s a way in which I apply to ethnicity the same strictures I apply to correct language. One shouldn’t make a mistake in linguistic usage, and one shouldn’t claim a level of ethnic or cultural belonging that is incorrect. As for the slash, I do feel that the slash is a more accurate representation of a bi-cultural identity than the hyphen, since the relationship between the two cultures in one person is more than simply a joining, more than an alternating from one to the other and back again in accordance to one’s physical situation. The bi-cultural person is never only one thing but never fully both. I am more Greek/American than Greek-American. But the nature of that combination is changing all the time. There have been stages in my life when I have felt mostly Greek, an ex-pat like my parents; and there have been other stages when I have wanted to be and have felt mostly American, freed of complicated ties to a place so far away. For several years now, as I spend more time in Greece each year over the course of two or three annual trips, I feel more settled in the identity of the American of Greek heritage. I’m not sure quite how to convey this in words (it still eludes me), but I feel more confident in my position as someone who is from abroad, που ζει στο εξωτερικό, and who is therefore not necessarily up to speed on the latest news or jokes but who mostly fits right in. In short, I don’t feel embarrassed now as I did when I was growing up if I don’t know something, if there’s something that gives away my outsider status. I am an outsider, and that’s all right because I’m not pretending to be anything else. There is another dimension to ethnic identity, though. More and more, in the face of so much migration in the world and to Greece, I worry about the troubling political consequences of strict adherence to notions of authenticity. An immigrant who settles in Greece is no less authentically Greek, I feel, than someone born in Attiki. I’m saddened by efforts in Greece (and now in the States) to assert some kind of echt Greek (or American) as if there could be one ahistorical definition of what that is. And I’m encouraged by the very slowly changing face of Greece, as more and more immigrants become part of Greek life. 4. Among ethnic writers, and especially Greek Americans, there has recently been an increase in memoir writing or even novel writing with autobiographical elements revealing the ethnic experience. How do you see this “revenge of the ethnic” as Yiorgos Anagnostou has called it? I think that this kind of writing, in memoir and novel, has been going on for a long time, though perhaps not so much among Greek/American writers and more with writers of Latino/a heritage or Asian heritage. Anagnostou’s formulation is interesting, suggesting that the previous silence among these writers has been in some way unwilling, and now the expression of the ethnic narrative is the revenge against that silence. While I’m not sure I would call it “revenge,” I do think there is a kind of corrective at work when a novelist or memoirist tells a story that challenges or defies the reader’s expectations for how an ethnicity behaves. And this corrective doesn’t only work on outsiders. For instance, I discovered that some Greek-Americans were not keen to embrace the world of The Clover House because they weren’t familiar with it. I always maintain that in the novel, Callie’s family behave like Greeks and not like Greek-Americans. They are not like the Greek-Americans of My Big Fat Greek Wedding. 5. 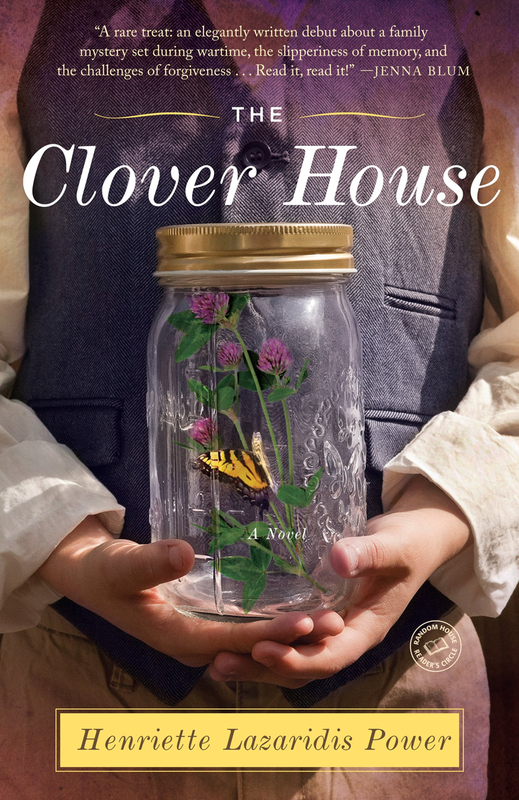 Your debut novel The Clover House was a Boston Globe best seller for 2013. The book is an interesting mixture of genres: a return narrative, a mystery novel with references to contemporary Greek history, even a feminist statement. How would you describe it? I love your descriptions of the book. Thank you! I think each of these genre labels works here, though I would probably describe The Clover House as a family mystery. There is another genre you don’t mention, and that’s fairy tale. When I was writing, I was quite conscious of the emergence of certain fairy-tale motifs and decided to play around with them. For instance, Clio makes three visits to Nestor’s house, just as a character in a fairy tale might make three attempts to, say, storm a castle, or to blow down a house. And there is something of the Goldilocks to Callie as she tries to find a place that is “just right” for her. 6. You have been quite emphatic about your ‘in-betweenness’ as a bicultural and bilingual “never quite belonging where I am”. As you have put it: “To me it feels as if two languages are always at the ready in my brain jostling companionably, but not ensuring that the wrong one won’t step forward at any moment”. Would you like to tell us more about this clash between the two languages in the writer’s mind on a productive day? Were there instances of Greek “blurting out” while you were writing your book and if so on what occasions? I’ve come to realize that, if I’m not careful, I will sometimes slip into Greek syntax for my English sentences. I’m better at catching that sort of thing as I’m writing, but even now I’ll sometimes see a sentence that just seems a bit off, and then I’ll read it more closely and realize that what I’ve done in writing it is to compose it subconsciously in Greek and translate it onto the page. In writing, I can edit and be careful and I can use my bilingual brain to create language that is aware of two registers at once. I like to choose words because of their etymologies and lesser-used meanings that trail behind them, so I may be using Latin and Greek derivations—often so that only I know what it is I’m playing around with, as in a private joke intended only for me. Speech is a different story. I am known to mangle English idioms on a regular basis, because I never learned them properly. I will also occasionally say something in English that I realize is only meaningful in Greek. I just recently discovered that when I say something “problematized” me, that’s not really English. But it is, of course, Greek. Κάτι με προβλημάτισε. 7. The Clover House is mainly inhabited by female characters whose relationships are often problematic: Callie and Clio and the other female relatives are at the forefront with the male presence on the sidelines. What are the complexities of this female universe and especially the mother-daughter bond that attracted your attention as a writer? To some extent, I fell into this female-dominated story because of the way in which I borrowed from the basic outlines of my own family. I have several aunts, my mother’s second cousins, so that gave me Clio’s sisters. And it was more natural to me to write a female protagonist than a male one for this story. In that way, The Clover House became a story of a daughter and a mother and their complicated ties to each other through the mother’s hidden and difficult history. My concern was more to write a novel about how family history forms identity and how difficult it is to establish a single truth about that same history. 8. In one of your essays, you state: “Callie’s dislocation-from her relationships, her mother, her heritage-is a form of what Greeks call xenitia, a self-inflicted exile”. To what extent do you feel Callie voices the second generation contemporary Greek American woman? Callie is a particular person, and a difficult one. During the course of the novel, the reader sees her make often poor decisions and sees her try to find her way out of some confusion about the direction her life should take. In other words, she doesn’t have it all together yet. So I wouldn’t take her as an example of a more general Greek/American woman. But I do think that, in writing Callie, I gave her preoccupations about place and belonging and exile that speak to the issue of xenitia. Callie has chosen to cut herself off from her heritage, but she pines for it all the same. I think for Callie the only way she knows to relate to Greece is as something she misses, even when she does finally go there. She’s in a perpetual state of not belonging, and so she sustains this yearning for the place where she will fit. 9. In your writings, you are explicit about what you do not share with Callie: “I don’t share Callie’s essential fear of relationships and her deep-down belief that she doesn’t deserve love”. What is it that you do share with your main character? I share with Callie this preoccupation with cultural belonging and an awareness of all the small things that, for better or for worse, mark a person as an outsider (or an insider). Like Callie, I’m an only child, though Callie’s singleton status comes from my desire to work with a more tidy narrative more than anything else. Still, there is something about a person who navigates the world without the tie of siblinghood that I understand from the inside. It allowed me to write, I think, the relationship between Callie and her cousin as Callie, the only child, would experience it. 10. What are your plans for the future? What should your readers expect? I am finishing a novel that has almost nothing to do with Greece or Greeks, set in 1910 in Antarctica and in London, though in my mind there is something of Penelope to the situation of one of the characters. I’m also developing another book idea around the teaching I do on how to use sports techniques to motivate creative work. 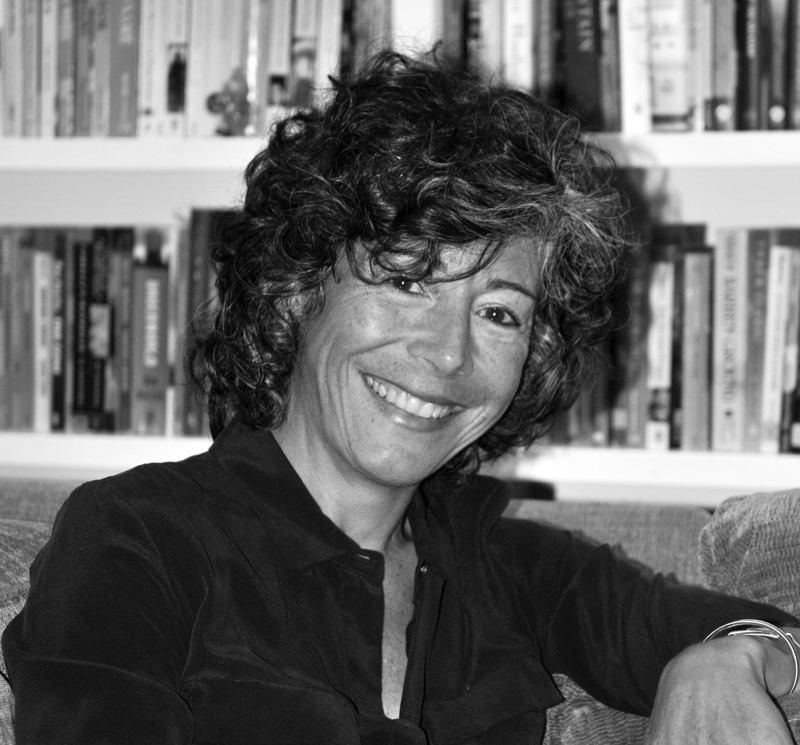 After ten years of teaching at Harvard, Ms Lazaridis teaches writing at GrubStreet in Boston. She is the founding editor of the Drum Literary Magazine. The Clover House (2013) is her debut novel.